“”For most climbers coming to Denali from outside of Alaska, the trip involves long hours of travel via planes and road vehicles. For Dario and Sabine Schwörer and their children, it meant years of travel by very different means, as Dario explains. 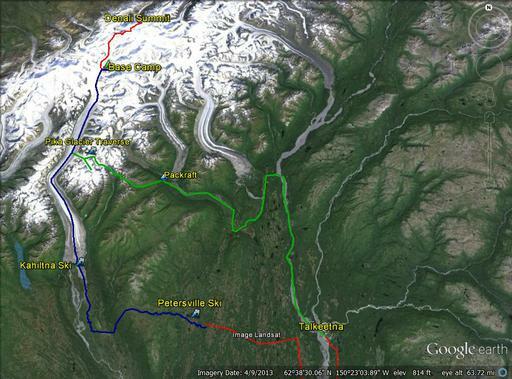 The Denali climb was successful, but for Dario and Sabine, that’s not the most important part of the expedition. 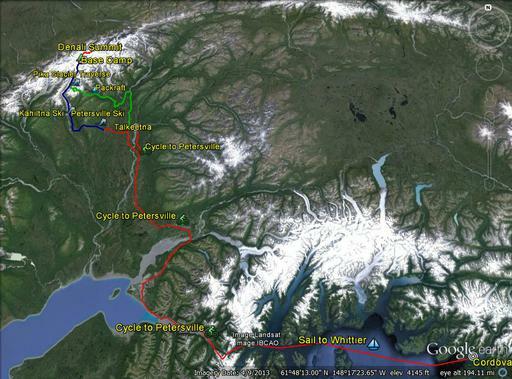 Sabine Schwörer did not climb Denali, since the family’s children are too young for the harsh environment. Instead, she stayed behind and conducted homeschooling and other aspects of the expedition. She has been part of the expedition since the first day, back in 2002. She jokes that Dario told her it would only take four years to finish the journey. Twelve years and four children later, she says she is still enjoying the trip. 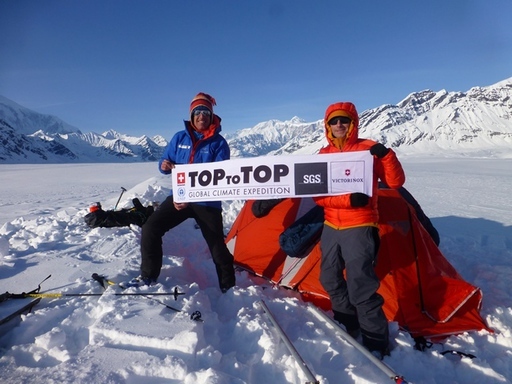 In all, the Top to Top expedition has sailed more than 70,000 nautical miles, and Dario and Sabine have shared their journey with more than 70,000 students in a hundred countries. Their work in local initiatives has helped clean up more than 50,000 tons of waste. They have one continent and one peak left to do, Mount Vinson in Antarctica. They aren’t in any particular hurry to get there, though.